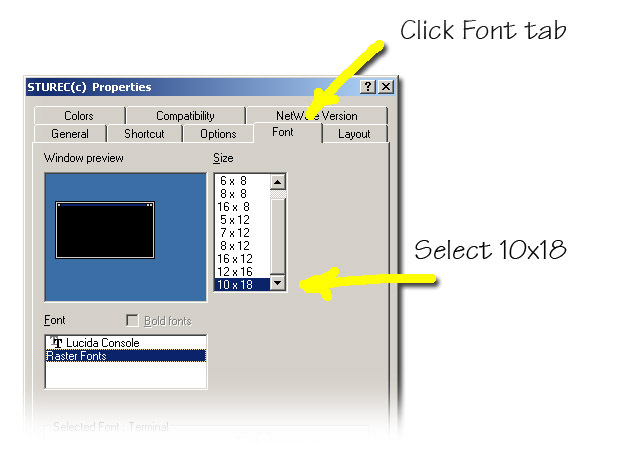 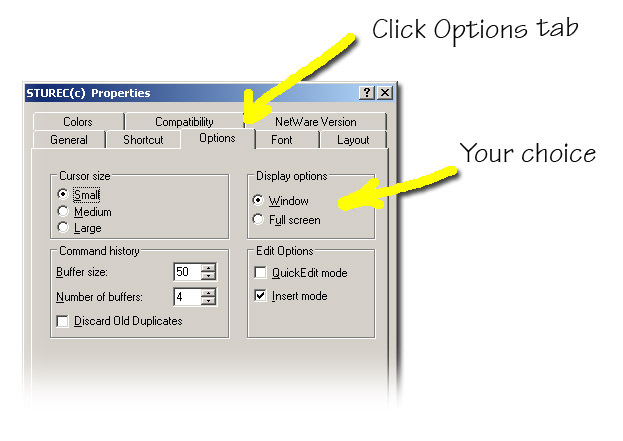 You can control the way STUREC© behaves on your Windows XP workstation. 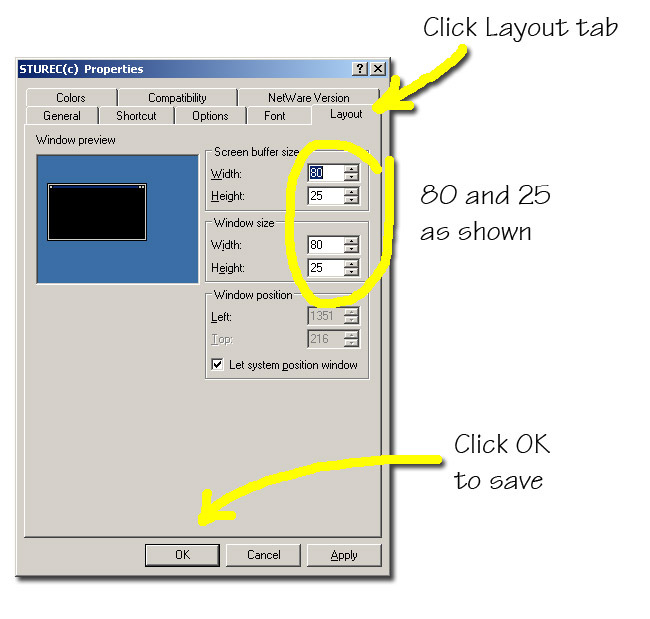 Follow these easy picto-steps. 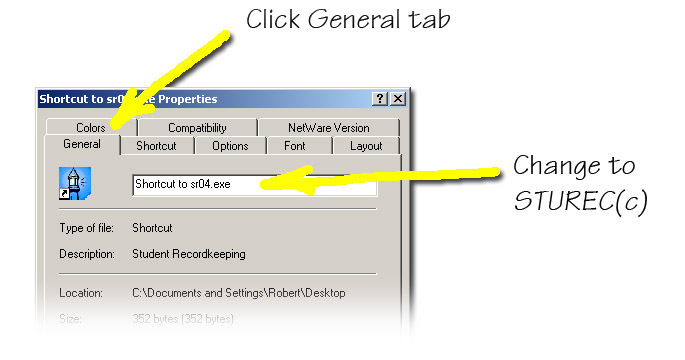 Find the STUREC© icon on your desktop. 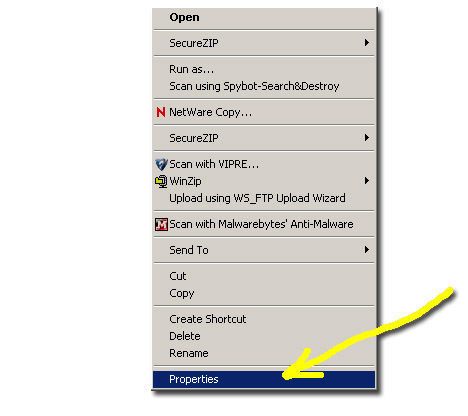 Select the last item, Properties from the pop-up menu and you should see this properties dialog. 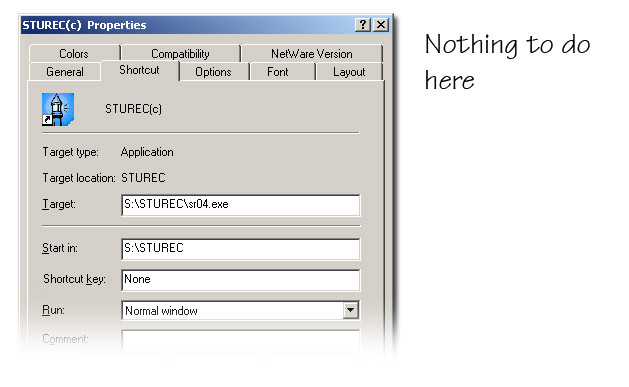 That is all there is to controlling the manner in which STUREC© is displayed.